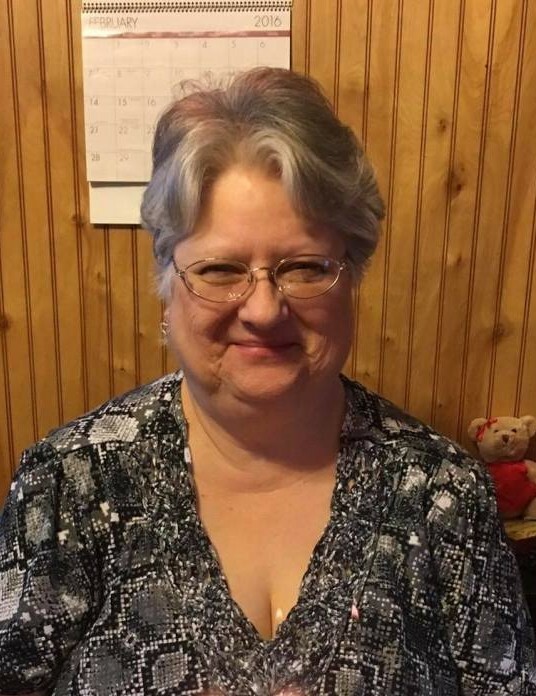 Darlene Rose Pettry, 64, of Kopperston, went home to be with the Lord and her family on September 3, 2018. She was surrounded by family and friends at her home. She was born February 13, 1954, in Kanawha County, WV to the late Charles R. Davis, Sr. and Rosalie (Hall) Davis. She married Sherman Frank Pettry on January 12, 1973. She was a homemaker and a devoted wife and loving mother. Darlene’s life was taking care of her husband and children. She loved the Lord and attended Sunrise Baptist Church in Kopperston. She was preceded in death by her parents, Charles R. Davis, Sr. and Rosalie (Hall) Davis,twin daughters, Nikki and Mikki Pettry, father in law, Sherman M. Pettry, and mother-in-law, Gladys Mae Pettry. Darlene is survived by her husband, Sherman Frank Pettry, Sr.; daughter, Cindy Pettry, twin sons, Sherman F. Pettry, Jr., and Charles M. Pettry all of Kopperston; brothers, Charles “Rob” Davis (Freda) of Quarrier, Andrew “Andy” Davis (Devonda) of Diamond; and many other extended family members and friends. The family would like to thank Pastor Oza Mullins and wife JoAnn, Sherry Toler, Harold Lane, her best friend, Becky Adkins, Schurla Adkins, Rhonda and Gary Stewart, and Hospice of Southern WV. Services to celebrate Darlene’s life will be held 2pm, Friday, September 7, 2018 at Kanawha Valley Memorial Gardens Mausoleum Chapel, Glasgow, with Pastor Oza Mullins officiating. Burial will follow at the cemetery. Friends may join the family one hour prior to service time at Kanawha Valley Memorial Gardens Mausoleum Chapel. In addition a visitation will be held 6-9pm, Thursday evening at the Sunrise Baptist Church, Kopperston. Dodd & Reed Funeral Home/ Adams-Reed Funeral Home are honored to be serving the Pettry Family.